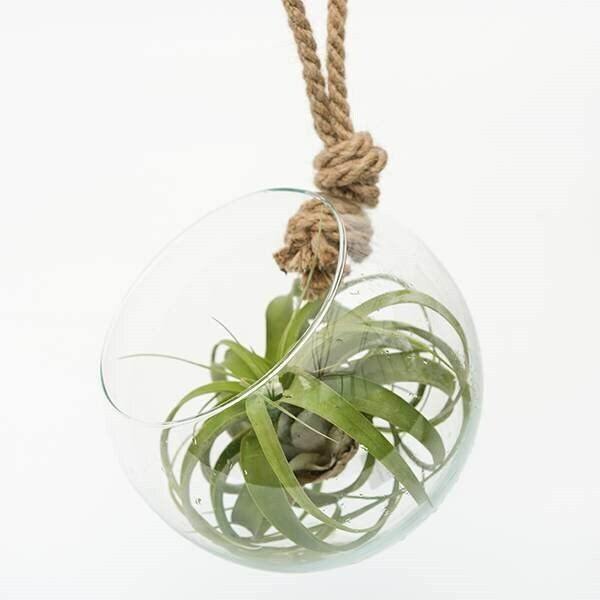 If you want something that is going to make more of an impact than your average air plant, then this whopper is just the ticket. 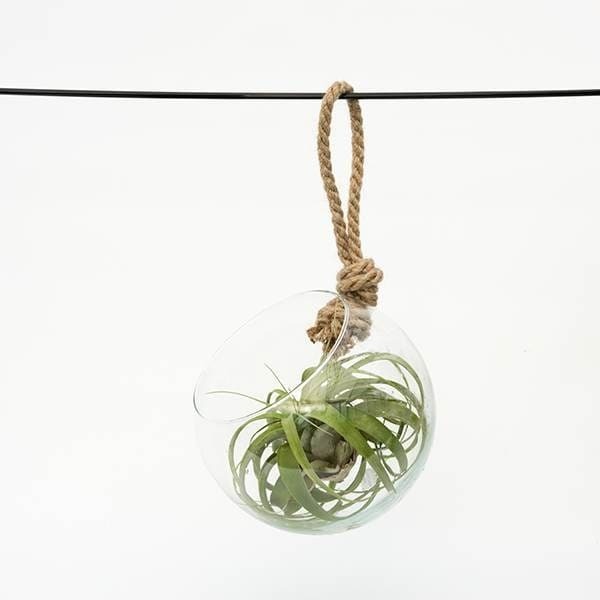 It comes complete with its own glass terrarium, which measures approximately 20cm in diameter and it is ready to hang using the sturdy rope handle that has been threaded through. Home care: These plants do need a humid environment to thrive, so a bright bathroom or steamy kitchen would be ideal. Misting with water a couple of times a week usually supplies sufficient water, although additional watering may be required in a dry hot environment. Remember to shake off any excess water though as they dislike ovrwatering and should never be allowed to sit in water for any length of time. If possible use rain water, especially in hard water areas, and never use water from a water softener.